Urologists interested in prosthesis surgery currently offer a range of procedures eg slings for incontinence in both men and women and is also within the remit of those undertaking AUS (artificial urinary sphincter) implantation and likewise andrological surgeons undertaking penile prosthesis also offer AUS. There are also a number of procedures which are common to all urologists with a general urology practice eg ureteric stents and testicular implants. However, the purpose of this book is to cover this area of urological surgery and provide a reference book for those interested in expanding their practice. It will provide a thorough background to the different types of prosthesis, stents, etc. 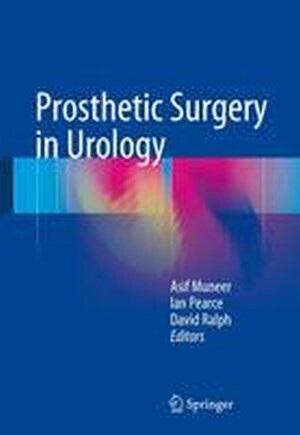 ​History of Prosthetic Surgery in Urology.- Introduction to Prosthetic devices.- Infection and biofilms.- Patient selection and assessment.- Consent for surgery.- Theatre preparation and equipment.- Patient preparation for surgery.- Urinary catheters and stomas.- Ureteric stents.- Prostatic stents.- Testicular implants.- Sacral neuromodulation.- Artificial urinary sphincter (AUS).- Surgery for female urinary incontinence.- Male urethal slings.- Injectable agents in urology.- Penile reconstruction using grafts.- Penile prosthesis surgery.- Complications of penile prosthesis surgery.- Future developments in prosthetic surgery.